Can the ‘new economy’ and labor movements come together again? Activists in Oakland have been campaigning for new city policies that would assist worker cooperative development. 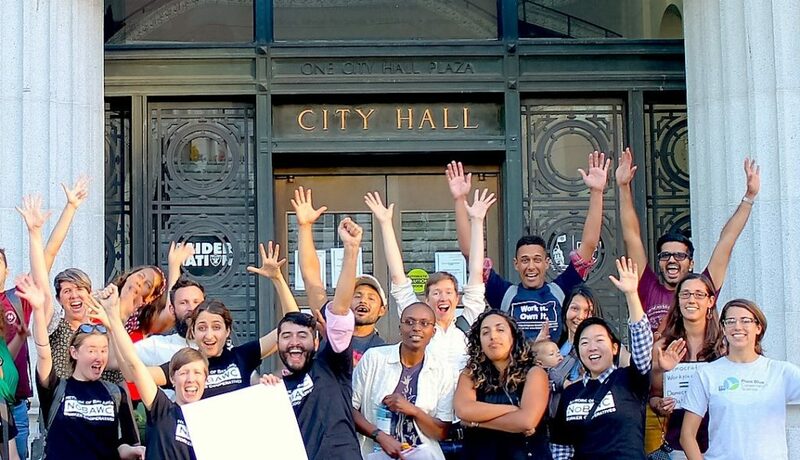 After successfully winning passage of a city resolution in support of cooperatives last fall, they are now pushing for a new law, the Oakland Worker Cooperative Incentives for Growth Ordinance. Supporters will speak in support at the upcoming hearing at City Hall on September 27, and the ordinance is likely to pass in October. It would grant a variety of benefits for registered worker cooperatives including procurement preferences, development funding, tax incentives, streamlined permitting and promotion of business conversion to cooperatives. The Sustainable Economies Law Center, one of the key promoters of the ordinance, says that it will be the first of its kind to offer this level of assistance for cooperatives.